Given the fact that the national unemployment rate stands at 5.3% and the underemployment rate is nearly 15%, it can be hard for people to understand how many employers actually face an acute shortage of skilled trade workers. It turns out that for plumbers, pipefitters, HVAC technicians, electricians, welders and others in similar occupations, there are more job openings than qualified workers to fill them—meaning that these specific occupations are in high demand. Following are three reasons why there is such a disparity between available employees and open positions in the skilled trades. Since it takes a great deal of physical stamina to handle tasks such as HVAC repair, welding, and construction work, almost all skilled laborers stop working at the age of 65. As baby boomers working in the skilled trades are now beginning to retire, staffing company Adecco estimates that up to 62% of all firms in the United States are finding it difficult to find qualified individuals to replace the retirees. Construction workers, electricians, plumbers, pipefitters, steamfitters, pipe layers, and those working in energy extraction will be in particularly high demand. The shortage of qualified skilled trade workers is expected to grow even worse in the coming decade. Recent statistics show that about one in five skilled workers are 55 years of age or older, which means that more people will retire from skilled trade work in the coming years. Energy and construction agencies are currently thriving and are set to continue growing for the foreseeable future. In fact, Texas alone employed well over 250,000 oil and shale gas workers by the end of 2012. 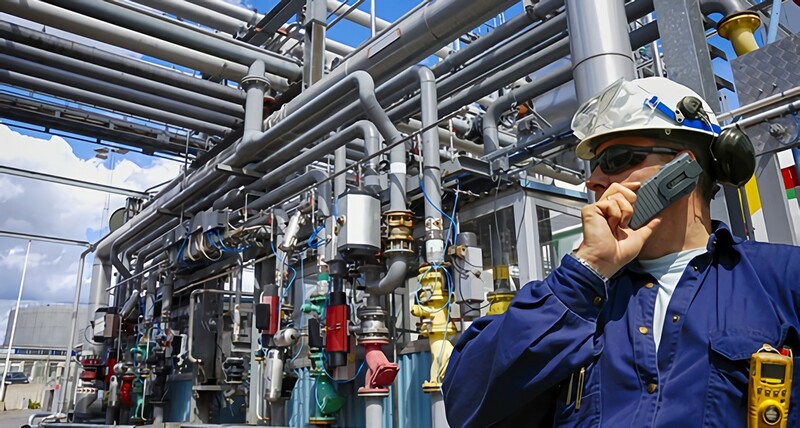 Gulf coast chemical companies working with natural gas companies have already found themselves facing acute labor shortages. Over 50% of all construction companies have reported losing one or more trained, experienced worker to other construction companies. This means that individuals with a welding degree, electrician training, pipefitting certification and other, similar qualifications will likely have opportunity finding work. While the abundance of skilled trade jobs certainly makes it easy for graduates to find work upon completing vocational training, the shortage of skilled trade workers may have an adverse affect on future job prospects as many companies lose projects and money (up to over $100 million dollars in some cases) due to labor shortages. Perhaps the biggest reason why there is a shortage of skilled trade workers is that high schools, counselors, and parents have for many years put an emphasis on pushing young people to obtain a college or university degree as opposed to training at a technical school. Additionally, many young people are attracted to white collar jobs because they allow them to work comfortably in a climate-controlled office year-round and avoid physically demanding labor in potentially tough environments. Hands-on jobs are generally stigmatized and many feel that only “low-class” people without other job options work in technical fields, but this is far from the case. White collar jobs are no longer by default the best paying jobs with the most opportunities, as there are more qualified graduates for these jobs than there are job openings, creating the current situation where we have too many overeducated and underemployed college graduates. While there may be many reasons why any one company or industry is facing a shortage of skilled trade workers, the three problems outlined above are common ones that affect many manufacturers, construction companies, energy companies and other firms. Thankfully, trade schools like Tulsa Welding School are becoming increasingly popular, but it remains to be seen if the number of graduates from these schools can make up for the present and future labor shortages that are plaguing many US companies.